Lock in a great price for Château de Montcaud – rated 9.5 by recent guests! This place is amazing, the rooms are airy and bright, the bathroom is bright and has ample space to accommodate all the little things you bring with you. Room was exceptionally clean, wifi, tv and safe are top of the range. The Chateau has a pool to cool down, and is surrounded by a beautiful park with old trees. Staff is super nice and helpful. Breakfast and dinner were outstanding, will go back! Das Chateau liegt in einem kleinen Park inmitten von Feldern. Trotz des schönen alten Gebäudes war unser Zimmer modern ausgestattet mit sehr gutem Komfort und einem sehr bequemen Bett. Das Abendessen im Gourmetrestaurant war vorzüglich und das Frühstück, das am Tisch serviert wird, war sehr gut mit einer reichhaltigen Auswahl. Alles im Allem ein Aufenthalt für uns, an den wir uns gerne erinnern, an einem wirklich besonderen Ort. Es waren für uns vier Traumtage in diesem wunderschönen Château de Montcaud, es hat einfach alles gestimmt... angefangen mit dem herzlichen und persönlichen Empfang der wirklich sehr sympathischen Gastgeber, dem überaus liebenswürdigen und kompetenten Personal, dem wunderschönen Ort mit dem grossen gepflegten Garten an dem auch unser kleiner Havaneser grosse Freude hatte, durfte er sich doch darin frei bewegen. Das Zimmer wurde sehr stilvoll renoviert, alles blitzblank... in dem grossen und bequemen Bett und bei absoluter nächtlicher Ruhe haben wir herrlich geschlafen. Sehr gutes Frühstück bei dem fast jeder Wunsch erfüllt wird, kleine aber feine Karte im Bistro für ein Mittag- oder Abendessen oder, als absolutes Highlight, ein exquisites Nachtessen im Gourmet-Restaurant... Das Anwesen liegt perfekt für tägliche Ausflüge sei es nach Avignon, Uzès, St. Remy de Provence oder ganz in der Nähe in La Roque-sur-Cèze. Wir sind begeistert und kommen sicher wieder! Récemment réouvert, cet établissement est remarquable : confort et propreté des chambres (literie impeccable), disponibilité et extrême gentillesse du personnel, parc immense et très beau, parking intégré (rassurant), restauration de qualité de type bistro chic en attendant l'ouverture prochaine d'un restaurant gastronomique. En premier félicitations à Andrea et Rolf Bertschi qui ont redonné vie à cet endroit magnifique. Clients fidèles de l'ancien propriétaire nous avions trouvé très dommage que ce château n'était plus exploité depuis son décès. Si le charme un peu désuet d'avant a été remplacé par un décor plus moderne, l'âme de la bâtisse et de son extraordinaire jardin (retravaillé) a été maintenu BRAVO. Maintenant il faut laisser le temps à la nature de travailler et aux nouveaux propriétaires de finir la renaissance du château de Montcaud. Le repas du soir au "Bistrot" était délicieux et la chambre très confortable. Nous reviendrons ! et pouvons que conseiller aux "anciens clients" de venir redécouvrir cet endroit. Das Hotel ist frisch renoviert, dabei wurde aber die Geschichte des Schlosses nicht zum Verschwinden gebracht, sondern sorgfältig herausgearbeitet. Die Zimmer mit den hohen Fenstern und Weitblick und die Bäder sind hell und von schlichter Eleganz und lassen keinen Komfort missen. Wunderbar der Park mit dem vielfältigen, alten Baumbestand, die diversen Nischen, Spazierwege, die Möglichkeit, sich im neu angelegten Pool zu erfrischen oder im Liegestuhl wegzudösen. Das Abendessen unter den Kastanienbäumen war köstlich - das Setting war vom Ambiente her nicht zu toppen. Un hôtel d’exception dans un magnifique parc de 5ha, tout le charme de la Provence Occitane. L’accueil et la disponibilité du personnel sont remarquables, attentionnés et souriants. Château de Montcaud is located in Sabran, in the Provence region. The property is set in the former private residence of a silk trader and is surrounded by five hectares of grounds. After a 2 year renovation the hotel has been fully refurbished and re-opened in June 2018. It features a 24-hour front desk, an outdoor swimming pool, a concierge service and free WiFi. The 29 rooms and suites include a kettle and a private bathroom, while the Family Suite and Two-Bedroom House will each provide you with a terrace. At Château de Montcaud, each room includes air conditioning and a flat-screen TV. All the rooms have views of the park. On site, guests can enjoy a traditional French bistrot and a gourmet restaurant. The bistrot serves traditional French meals as well as daily specials, which, weather permitting, guests can enjoy on the terrace and packed meals are also available. A buffet breakfast is available each morning at Château de Montcaud. Meeting and events facilities are available on site. Guests can also benefit from the free newspapers offered onsite and the bicycle rental service. Cycling is among the activities that guests can enjoy near Château de Montcaud. Avignon is 24 mi from Château de Montcaud, while Nîmes is 31 mi away. The nearest airport is Avignon-Provence Airport, 35 mi from the property. This property also has one of the top-rated locations in Sabran! Guests are happier about it compared to other properties in the area. This property is also rated for the best value in Sabran! Guests are getting more for their money when compared to other properties in this city. 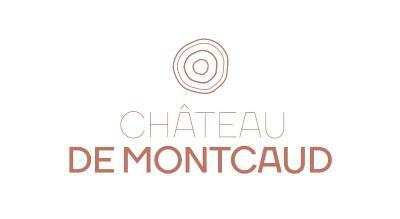 When would you like to stay at Château de Montcaud? This double room has air conditioning, executive lounge access and electric kettle. This triple room features a pool view, seating area and electric kettle. This apartment features a bathrobe, view and fireplace. House Rules Château de Montcaud takes special requests – add in the next step! Château de Montcaud accepts these cards and reserves the right to temporarily hold an amount prior to arrival. Please note that an extra charge of EUR 20 per animal per day applies to guests wishing to bring pets, in addition to a final cleaning fee of EUR 40.